The dangers from cell phone radiation have become a national discussion. 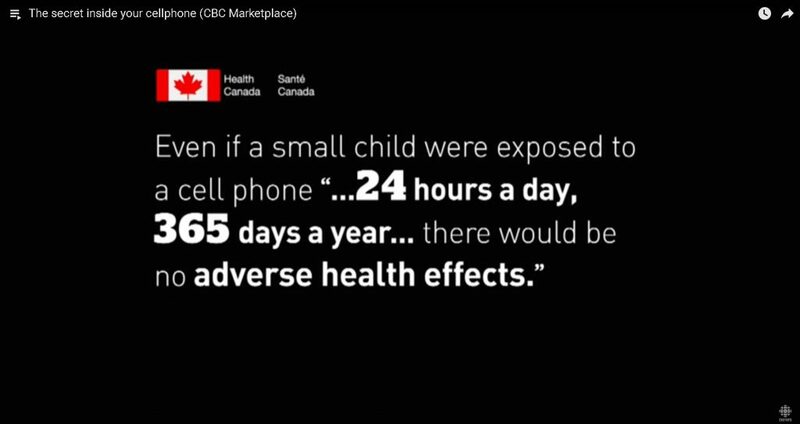 On March 24, 2017, CBC Marketplace aired the episode, The Secret Inside Your Phone which investigated the warnings hidden deep inside the user manuals or the devices themselves The program exposed how little Canadians know about the dangers of cell phone radiation, how cell phone manufacturers bury warning messages on how to use the devices safely, and how Health Canada is failing to protect Canadians. There was a lot of important information presented in the story, and much discussion about the dangers of cell phone radiation after the program aired. To help educate and inform Canadians about unsafe levels of radiation cell phones produce when against he body, we have compiled a list of helpful resources including the CBC Marketplace special investigation. 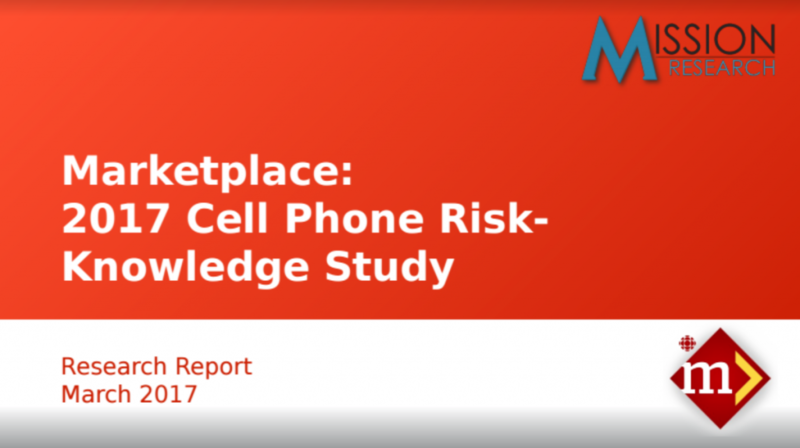 Before CBC Marketplace aired, Wendy Mesley sat down with The Current’s Nora Young to share the results of her investigation regarding cell phone safety. The program discusses the manufacturer warnings to keep cell phones 5-15 mm away from people’s bodies, presents findings from their own cell phone safety tests, and questions Health Canada and cell phone manufacturers on the dangers of wireless radiation from cell phones. Read the response from Health Canada and different cell phone manufacturers regarding the dangers of cell phone radiation. A national survey completed for CBC Marketplace found 81% of Canadians were unaware of the manufacturer warnings to keep cell phones 5-15 mm away from their bodies. It also found that two-thirds of Canadian cell phone owners carry their cell phone against their body. Canadians For Safe Technology is not-for-profit, volunteer-based coalition of concerned Canadian citizens. Our mission is to educate and inform Canadians about the dangers of wireless radiation and to petition our government to update Safety Code 6.